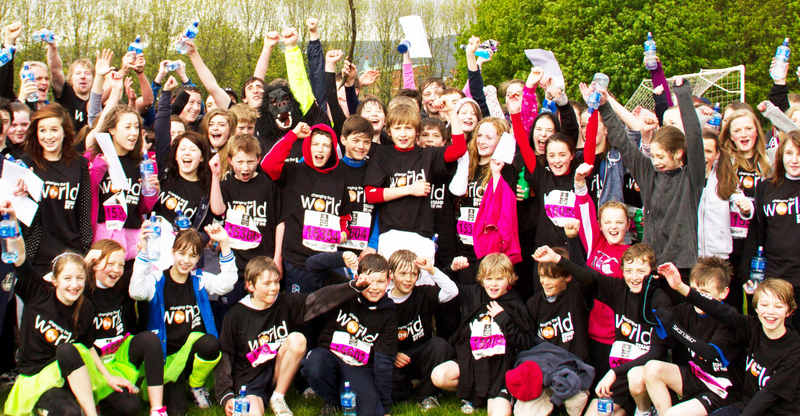 A 96 strong team of 11 – 14 year olds are setting out on Monday 6th May to play their part in ‘changing the world’, one step at a time, as they take on the Belfast Marathon fun run. The group of young people from Glenabbey Church’s junior youth group, Switch, will be wearing t-shirts saying “be the change” throughout the three mile event, as they strive to raise money for Stand by Me children around the world. They have been busy preparing for their challenge and they hope to break last year’s magnificent fundraising total of £2,160.62, which was used to help the children in Bekoiji, Ethiopia. The fun run takes place alongside the 26.2 mile marathon course around Belfast and has over 3,500 participants. We hope they have a great day!